This type of error occurs when your Ionic app is working fine in your desktop browser (ionic serve) and then you deploy it to a device or emulator and it doesn’t work at all! What you see is a white screen when you open the app. There are two ways to figure out what is happening one is using the cli livereload with consolelogs when using run or emulate command, and the second one is using the chrome developer tool. You can only use –consolelogs if you also use –livereload. 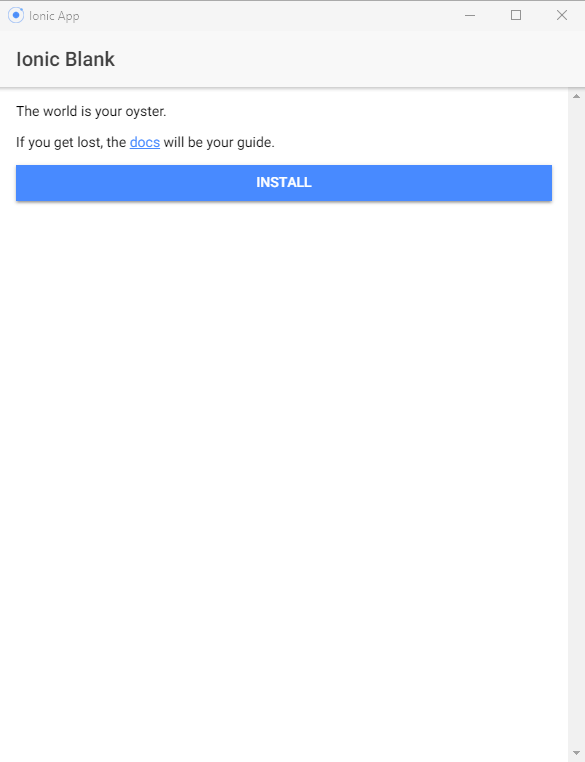 Now you need to run your app on an Android device, you can attach the Chrome Developer Tools to the app and see the error in the Console, you need to connect your device with a USB cable to your computer, open your desktop Chrome browser and type chrome://inspect on the address bar. 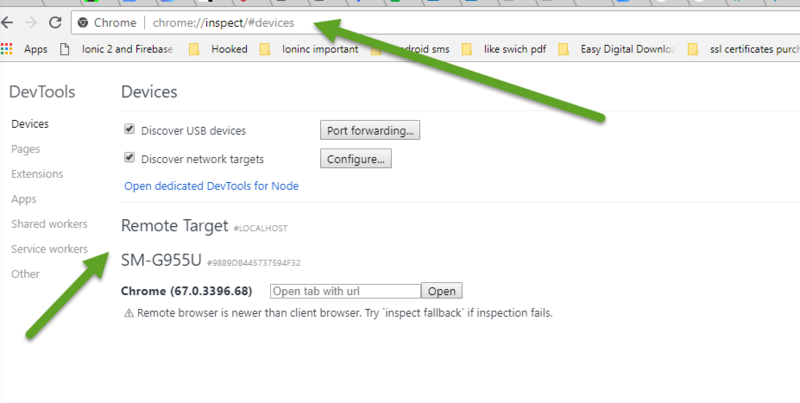 You should see your device listed, click on inspect and from there you can use the Developer Tools the same way you use it for your desktop browser when do ionic serve. 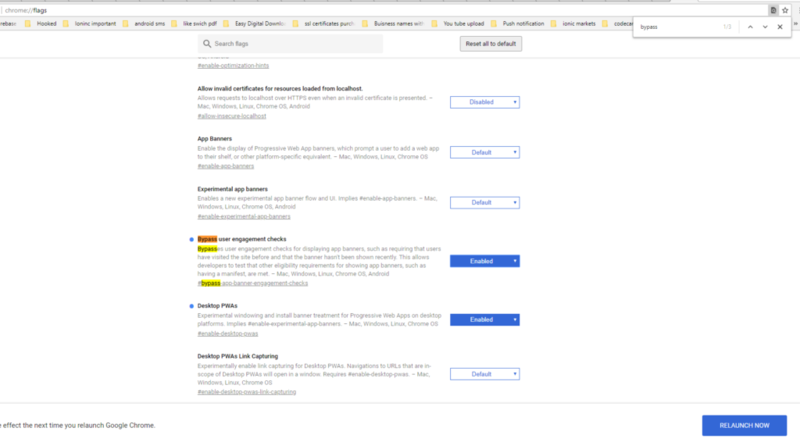 You should see the error causing the white screen, and any other relevant information like the console.log() that you placed on your ionic app code. This doesn’t work for iOS and Safari web inspector, the most universal way is to use the –livereload option, which will work for both iOS and Android. 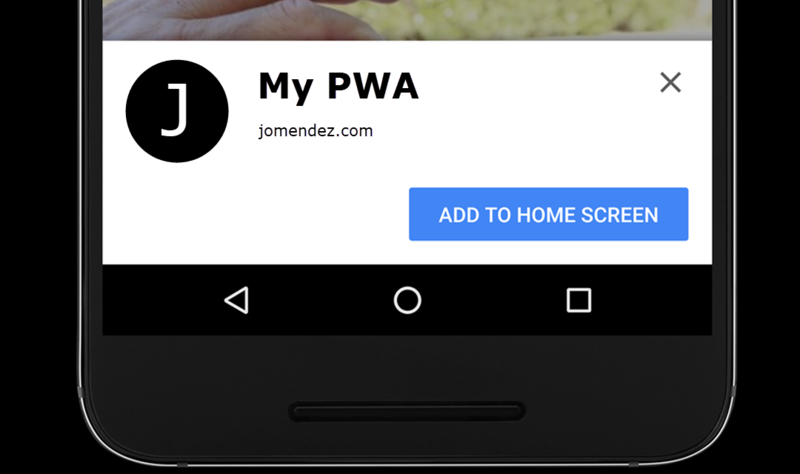 One of the feature of Progressive Web Apps is the ability to add to home screen your application, in a mobile phone or on a desktop computer, if using Chrome (recommended) it handles most of the heavy lifting for you, and on Android, Chrome will generate a WebAPK creating an even more integrated experience for your users. Starting on Chrome 68 (beta in early June 2018), Chrome will not automatically show the Add to Home Screen banner, instead, you must show it by calling prompt() on the beforeinstallprompt event. Note: Other browsers may have different criteria to trigger the beforeinstallprompt event, check their respective sites for full details: Edge, Firefox, Opera. 2- Notify the user your app can be installed with a button or other element that will generate a user gesture event. 3- Show the prompt by calling prompt() on the saved beforeinstallprompt event. // Stash the event so it can be triggered later on the button event. You can only call deferredPrompt.prompt() on the deferred event once, if the user dismissed it, you’ll need to wait until the beforeinstallprompt event is fired on the next page navigation. 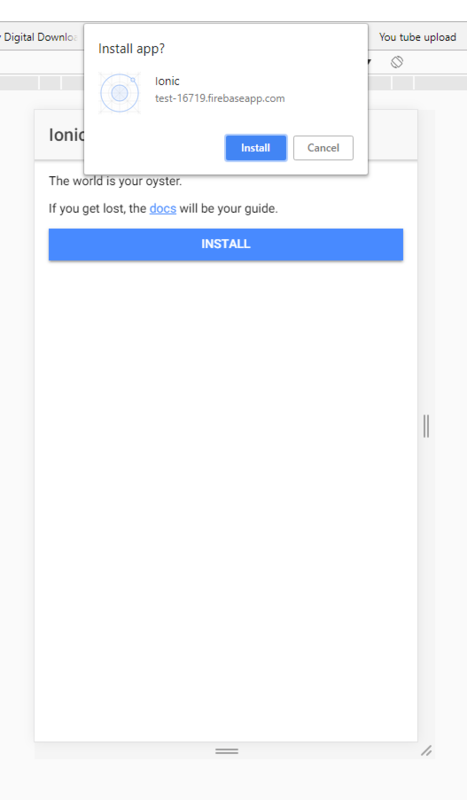 To determine if the application was successfully added to the user’s home screen once they accepted the prompt, you need to listen for the appinstalled event. 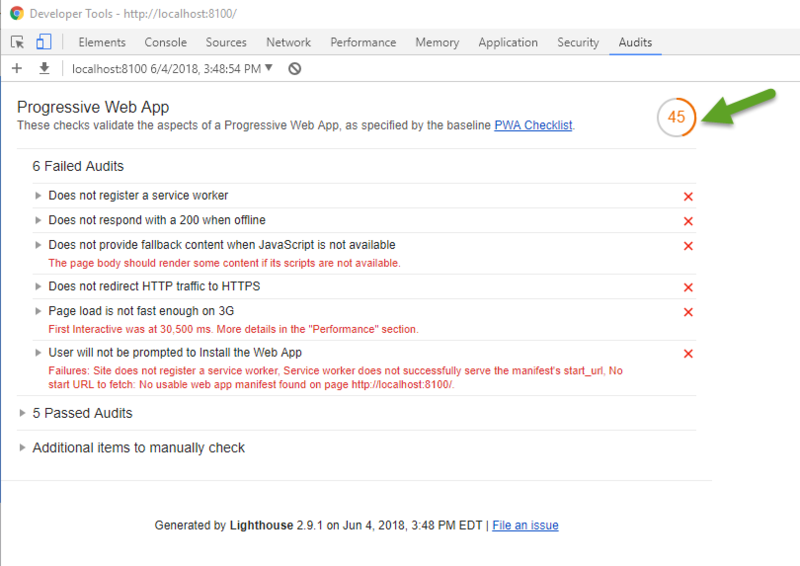 Easiest way is to use Lighthouse to audit your app, and check the results of the User Can Be Prompted To Install The Web App test. 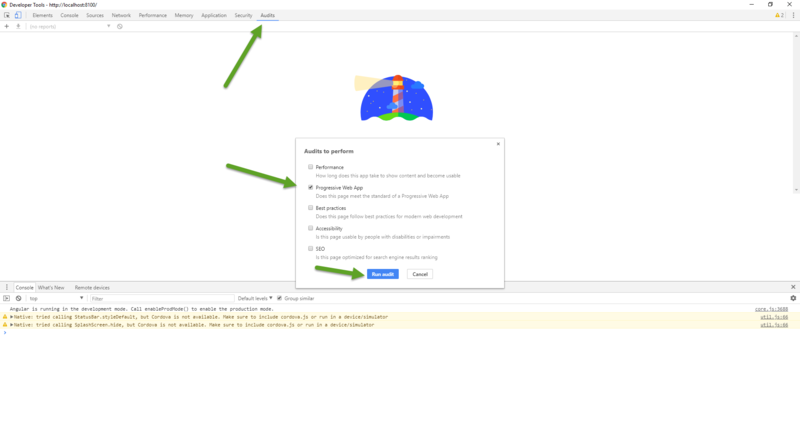 Now we need to deploy our app to firebase hosting to be able to have HTTPS, and a 100 score on the lighthouse. 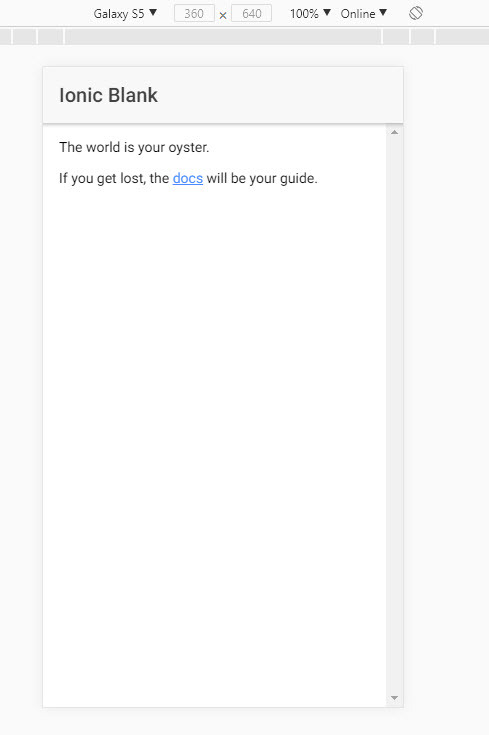 If you get lost, the <a href="http://ionicframework.com/docs/v2">docs</a> will be your guide. For security reasons, as others have written as well, browsers don’t allow you to manually trigger the install event. This will kick off the prompt so you can test. 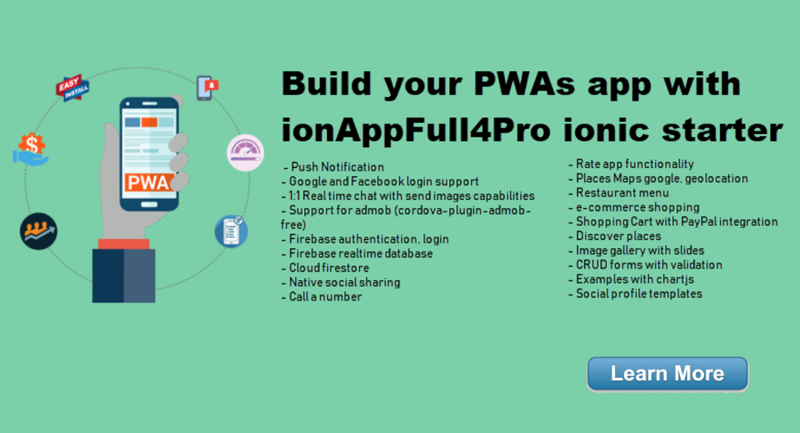 Ionic is a great technology, you can create multi-platform app with one code base, create PWAs, etc. The problem is when you try to use/run an ionic app made in another environment (using different node version, etc.) 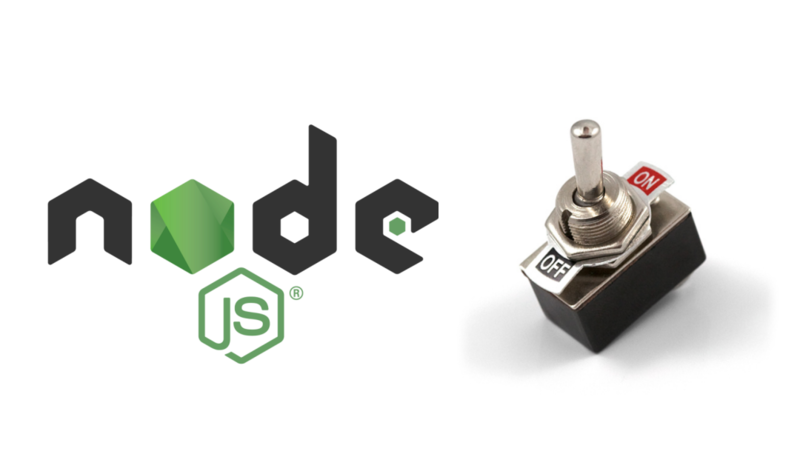 on your recently created environment (latest Node.js version), one of the most commons issues is related to the installed Node.js version of the user that are trying to make the code run. This is not only valid to ionic, but to any code that relays on Node. Lets install the same Node version used to create the original code, and problem solved? 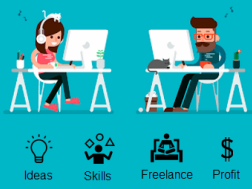 You can certainly do that, and if that’s your case, that’s it, you are done, problem solved, but what happen if you have more than one Node projects on your computer, that could need to use older versions of node, this is a very common scenario for people that works heavily with different projects and different package versions. It stands for Node Version Manager. As the name suggests, it helps you manage and switch between different Node versions with ease. It provides a command line interface where you can install different versions with a single command, set a default, switch between them and much more. I’m going to focus on windows for this article, if you have a different OS, you can find information on it’s official github repo https://github.com/creationix/nvm. First, make sure you uninstall any Node.js version you might have on your system, as they can collide with the installation. After this, download the latest stable installer here. Run the executable installer, follow the steps provided and you’re good to go! If installed correctly, the nvm command is available anywhere in you terminal. You can run nvm -v command in your terminal to make sure, a list with the help instructions should show. As you can see it is super easy, hope this helps you.